Securing safe interchange of patient data, improving the conduct of clinical tests and medicine traceability and lowering costs are just some of the potential boosts for global healthcare that the widespread use of blockchain technology - still in its relative infancy - could bring to the table. The myriad potential applications of the cutting-edge technology used by cryptocurrencies led by bitcoin are countless - and gradually making their presence felt, albeit for now in small, disparate doses. Blockchain uses chunks of data via distributed ledger technology, permitting the secure, immutable and transparent sharing of almost any form of information. The concept led Forbes magazine recently to observe, "it seems that blockchain is about to have an impact on nearly every industry." The technology has steadily been creeping into sectors from finance and cybersecurity, to logistics, from agribusiness to energy via air transport. 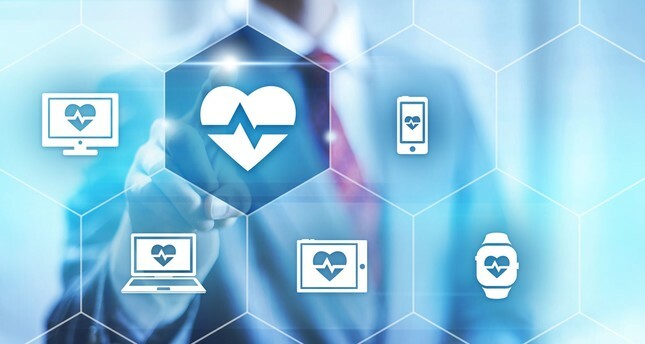 In the health sector, a number of trial projects are already sifting data, the goal being to guarantee security of medical systems and manage patients' digital dossiers. "Blockchain is already being used in pilots for health data analytics, medical device security and electronic patient records," French pharma giant Sanofi said in a recent note. "Beyond that is the potential to apply the technology to everything, from more efficient clinical trials and speedier approvals of new therapies to reducing counterfeiting and increasing transparency about cost." In the United States, IBM Watson Health has been working with U.S. food safety body the Food and Drug Administration to come up with a blockchain-based, seamless and secure health data exchange system. IBM Watson Health is also teaming with the U.S. Centers for Disease Control and Prevention (CDCs) to determine how blockchain can facilitate secure data exchange. The idea is to use a blockchain platform to revolutionize data analysis through cognitive computing and improve epidemiological responses to health crises such as in 2014 when CDCs earned some criticism over their response to four laboratory-confirmed Ebola cases in the United States. Currently, says IBM, "around 80 percent of health data is invisible to current systems because it's unstructured." In Europe, the MyHealthMyData uses a blockchain model compatible with tough new EU privacy laws that came into effect last month on online personal data protection. "We only stock in the blockchain links to information and not the information itself," MyHealthMyData coordinator David Manset told Agence France-Presse (AFP). MyHealthMyData, helped with 3.5 million euros ($3.8 million) of EU finance and whose partners include Germany's Siemens, prioritizes ease of access to health data and the ease of sharing clinical trials data where administrative tasks currently eat up around "80 percent of researchers' time," according to Manset. Yet a balance has to be struck between people's right to have their data disposed of - the "right to be forgotten" in terms of wiping their digital information trace - set against blockchain's key selling points of immutability and unlocking efficiency advantages. Some U.S. estimates put the potential gains not least from cutting administrative and operational waste at hundreds of billions of dollars in a market where global expenditures surpassed $3 trillion in 2017 and will hit a projected $8.7 trillion by 2020, according to Deloitte. MyHealthMyData suggests if somebody wishes definitively to erase his or her data from the trove then the links to that information could be rendered unusable rather than cause an actual break in the chain.